Over the last few moths I have had the privileged opportunity to deepen a friendship with Ann Cunniffe, the blogger for The Purple Magnolia. I find her writing to be brief, insightful and inspiring. Her flower art comes from a deep appreciation and understanding of the correlation between color, shape, texture and most importantly joy. I recently invited Ann to be a guest blogger for my ideas section. In this entry she is gifting us with the financially savvy and simple flower solution for affordable wedding floral arrangements. If you love flowers or have an upcoming wedding and are looking for inspiration for your flowers I would recommend signing up for her updates. Including often overlooked flowers in your wedding can have breathtaking effects when these flowers are arranged to maximize their natural beauty. 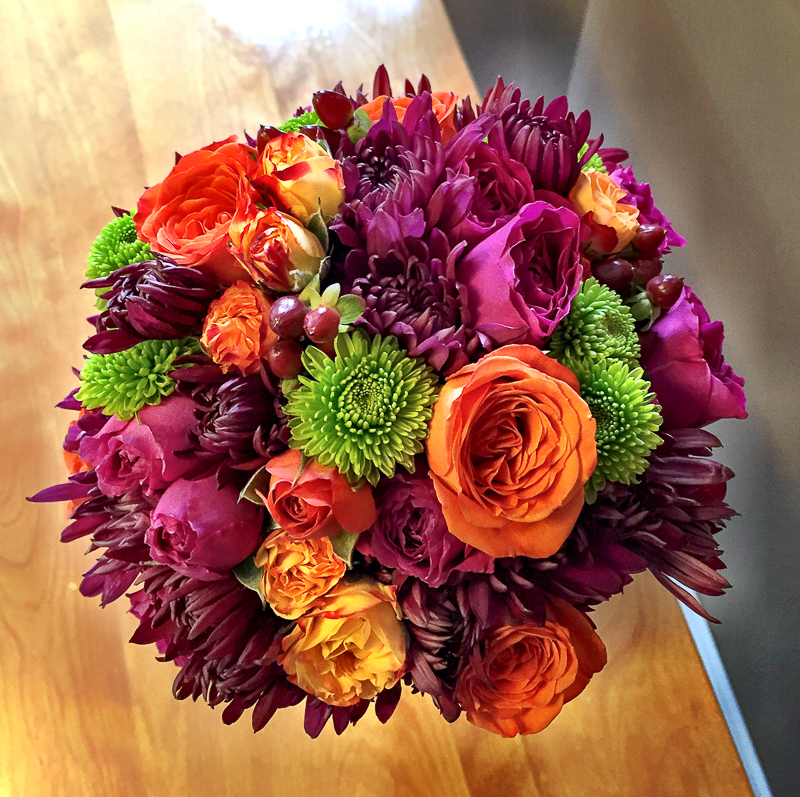 Carnations, alstroemeria, chrysanthemums, and baby’s breath are just some examples of beautiful flowers that are overlooked when it comes to event planning because they have been overused and misused in the past. For a fresh approach to these flowers, consider highlighting their beauty in single-variety arrangements (i.e. just one kind of flower). 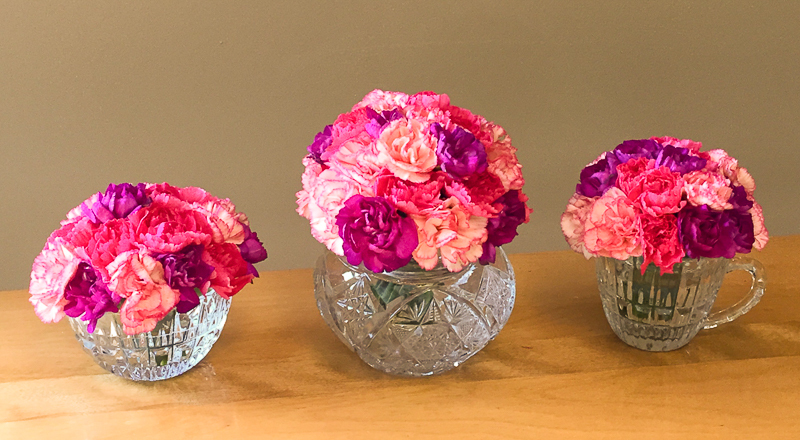 Play around with eye-catching color combinations like peach, purple, and hot pink when including carnations in your wedding or event. Try using clusters of them in a series of smaller arrangements. Affordable ombre carnation and crystal wedding centerpiece floral arrangement. Have fun with foliage and containers when using these flowers in single-variety arrangements. Removing the leaves of alstroemeria, for example, allows the flowers to really shine. Add some seeded eucalyptus for a pop of green. 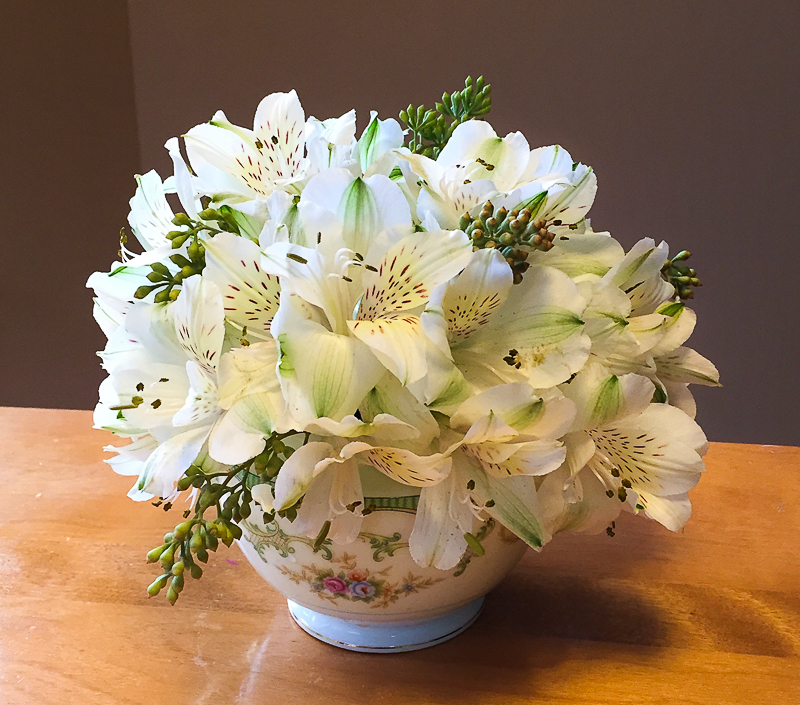 Placing alstroemeria in a patterned vase reminds you of the intricate pattern of the flower itself. Consider the variety of chrysanthemums from which to choose. Chrysanthemums are great for their colors and textures. Adding a bright dash of color with a Kermit green button mum will spice up a darker fall or winter floral design. 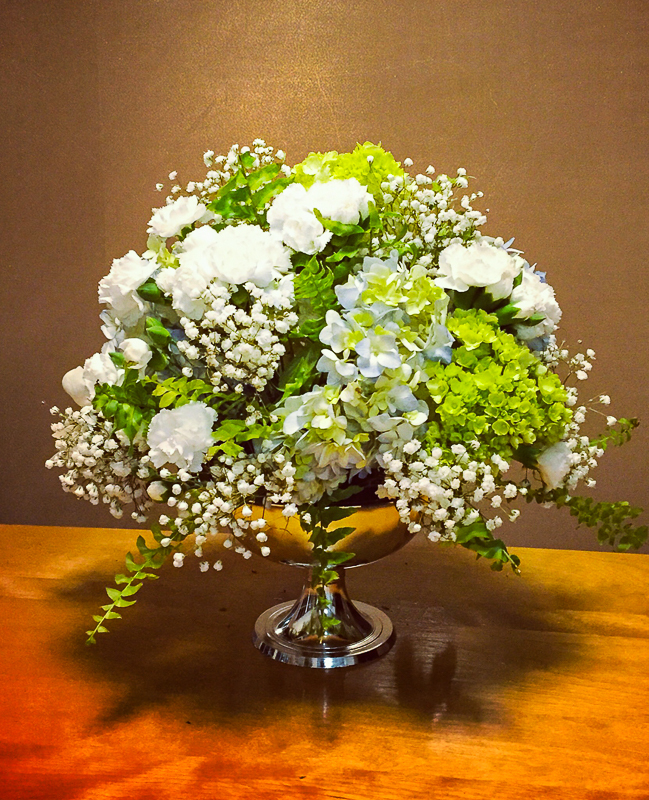 Grouping or clustering baby’s breath into several stems creates a greater impact in arrangement than using single stems placed throughout the arrangement. This technique encourages the baby’s breath to become more of a “star” flower. Creating a compact cluster of baby’s breath nicely highlights the delicacy of the individual flowers.